First day of PTC 9 (Acurate Antwerp Open) with big crowd, twice PTC events winners Ronnie O'Sullivan and Neil Robertson booked their places in last 16 on Sunday. Ronnie has three straight victories with only throwing one frame away in fourteen frames he played today. He first shattered Anthony Hamilton 4-1 with a ton to complete his revenge for his defeat in Shanghai Masters in September, then defeated Adam Wicheard 4-1 and finally whitewashed Andrew Norman with 105, 68, 56. Ronnie played some exhibition shots to entertain and mesmerize the Belgian crowd - it tells that he is in a good shape although he hates PTCs . Robertson started off the day with an easy 4-0 win over Mario Wehrmann followed by a meeting with Chinese player Cao Yupeng which he eventually won 4-2. Robertson faced adversity in his last 32 match against Kurt Maflin - He was 1-3 behind the Norway player but cameback to beat him 4-3 with 58 in decider. 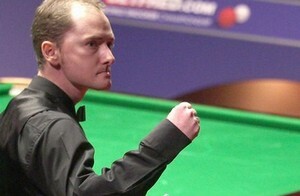 Graeme Dott won three deciders in a row that all of them were come backs. 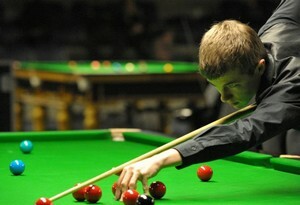 Dott is a fighter, he was 1-3 down to Peter Ebdon in his opening match but won 4-3. The second match he displayed tremendous comeback, losing the three frames before winning four in a row to through to next round. Last but not least he defeated Andrew Higginson 4-3 from 1-3 down. Jack Lisowski booked his place on Sunday as well after the disappointment for not qualifying UK Championship a few days ago. Michael White beaten The Nugget Steve Davis to set up a match with Robertson while Ireland's David Morris gained a 4-2 win over Peter Lines. Stephen Lee edged out Stephen Hendry in last 64 and also through to last 16. Alan McManus has a good record in PTC events, is also in the last 16.